or lunchtime (12-1 pm) classes? 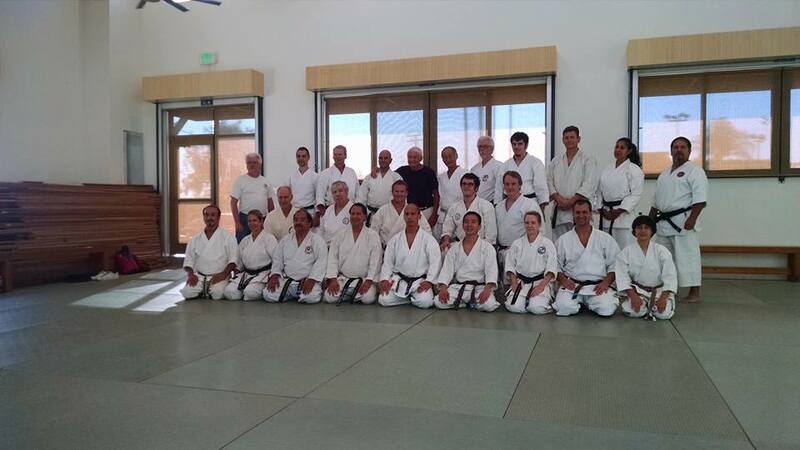 The style of karate, which forms the foundation of our training, is called Shotokan, (Shoto was a pen name used by its founder, the venerable Gichin Funakoshi). Its origins are from Okinawa, but it was later refined in mainland Japan. Our teaching style is balanced, placing equal emphasis on hand and foot techniques. 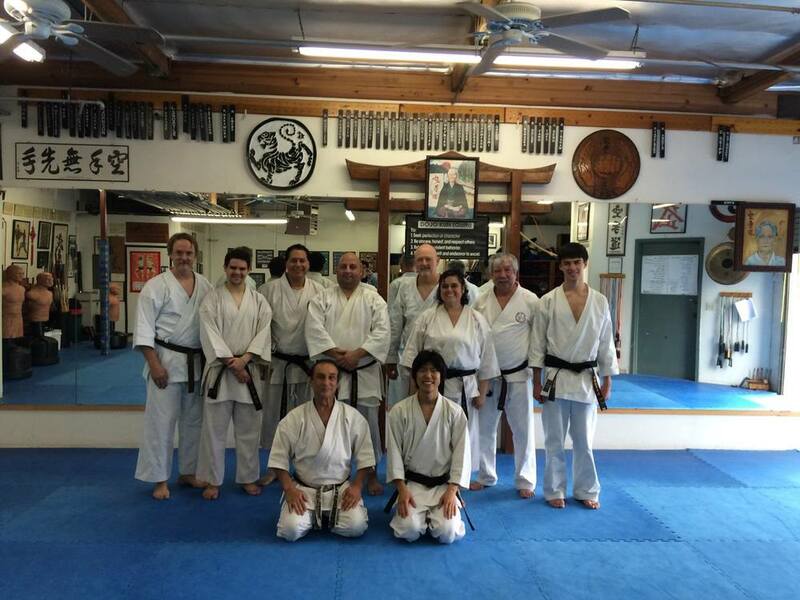 In addition, students will also gain proficiency in Kihon (basics), Kata (prearranged movements using offensive and defensive techniques), Kumite (one step and free sparring), and self-defense. Aside from the physical aspect, we strive to adhere to the principles, values, and philosophies of the budo arts. Karate should never be practiced solely for fighting. Unfortunately, as portrayed in the movies martial arts tend to exaggerate and glorify violence. The true purpose of the art is the nurturing of a sublime spirit; a spirit of humility and a greater awareness of one's self and others. Karate-do is founded on a tradition which seeks to fulfill three primary objectives apart from self defense. First is the promotion of good health and vitality. This is achieved by improving one's aerobic fitness, coordination, strength, flexibility, and reflexes. Second is a higher level of understanding of the art, both physically and intellectually, which includes the study of the culture, traditions and philosophy. Third, karate strives to cultivate and nurture a healthy attitude amoung its practitioners, shaping one's character by realizing the value of such traits as benevolence, courtesy, respect, humility, and recognizing the worth of all human beings. The student who preseveres will develop courage, self-control and self-discipline. If these three objectives are kept in view and looked to for guidance, karate becomes a learning process and an extremely valuable link in a person's general pattern of growth, development, and change throughout life, as well as an excellent means of prolonging that life by keeping physically fit. It is impossible to relate to you the full range and measure of benefits available. The training itself stands as the best testament to its worth and value. You will reach an optimum level of fitness, acquire the ability to defend yourself, and gain stability and peace of mind. 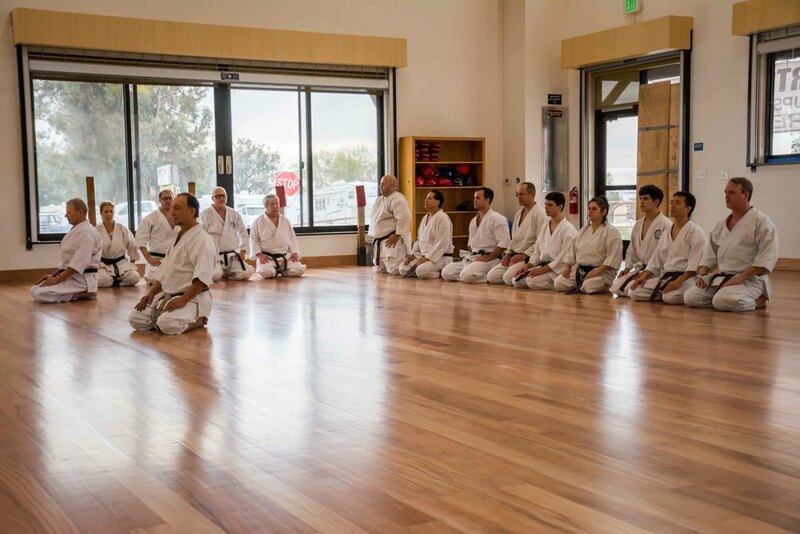 The discipline and concentration will help you to achieve your fullest potential, and as students and instructors work together toward a desired goal, the training principals and values that karate has to offer serve not only to enrich our lives, but to influence a more positive lifestyle as well. Karate is a sport of individual competition. Under strict and safe rules designed for competition, karate tournaments become an outstanding example of the skill resulting from the hard work and discipline necessary to master this art. In karate, in an effort to better ones self, a person competes more with him/her self than with others. Karate provides you with an escape from the day-to-day grind as well as an opportunity to do something for yourself. 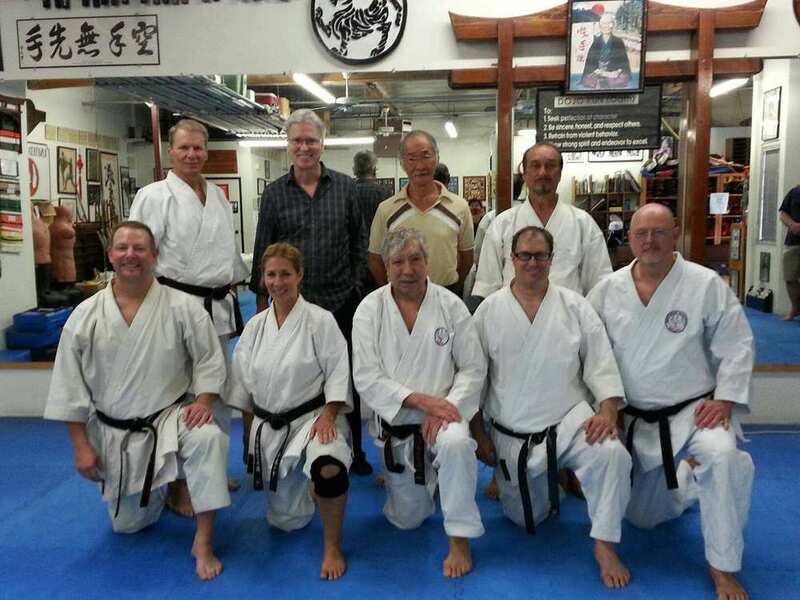 A newfound stamina, confidence, and a take-on-the-world enthusiasm accompany the development of karate skills. In addition to this, the ability to defend ones self is an important asset to anyone at any age. In today's society it is important for people to be self-reliant and independent. More and more women are finding karate to be the key to personal security and self-confidence. 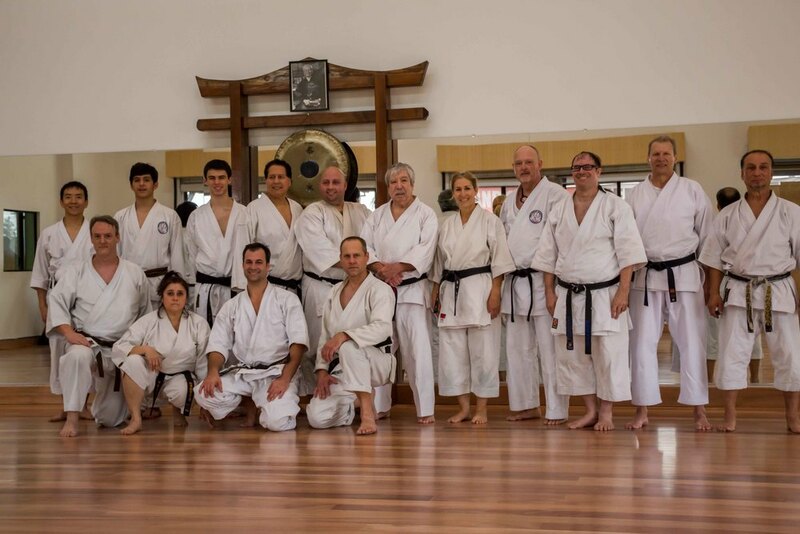 The aspiration and goal of the Upland Shotokan Karate League is to aid in the development of strong, discerning, responsible and well-rounded individuals. To do this we stress the development of all aspects or levels of martial arts training: physical discipline, self- defense, sport, artistic expression, meditation, philosophical/ethical development, and spiritual development. This last level encompasses all the others. It represents the highest level to which any human enterprise proceeds. This does not imply any doctrine, religious or otherwise. Rather, it refers to that in humankind which is both actual and potential, what is and what can be realized, and the indomitable spirit or drive or tendency which makes the potential become actual. The martial art of karate is a means, not an end. There comes a point where the technique is transcended and it is seen as a stepping stone or preparation for becoming more fully human and alive. If we stop with the perfection of technique, that wholeness is lost. Through the perfection of technique we are developing ourselves. At the spiritual level the martial artist has gone beyond the other levels, but without leaving them behind. In fact, it is a return to the technique with greater appreciation for what the technique makes possible in our development. Technique is the means for a path of discipline that moves us toward our own wholeness. Wholeness is not the perfection of technique, nor is it the intellectual grasp of the significance of the process of development toward wholeness. 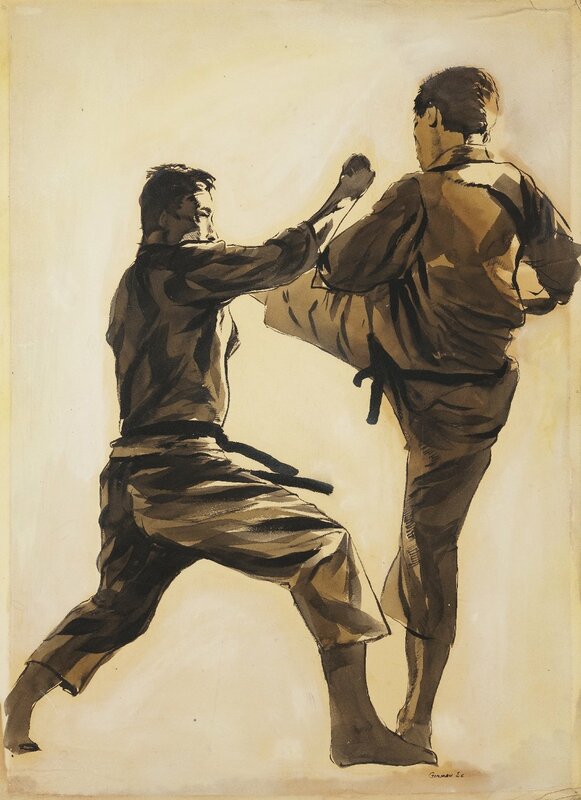 The martial artist does not just contemplate the philosophical and ethical dimensions and implications of his or her actions, but puts these insights into living practice. This is the most significant level of any human activity and self- mastery. The highest form of self-mastery is beyond technique and beyond intellectual or philosophical understanding. It is in the way we live and experience our lives. Yet each of us must follow some tao, develop ourselves through some means, some technique or art and with the aid of philosophical awareness, transcend this means in order to return to the spiritual source from which every human achievement, every self-transcendence is made possible. What we seek is the complete integration of all aspects of our humanity that leads to living a good human life. We practice martial arts insofar as martial arts promotes and contributes to this.